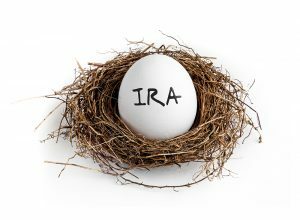 HomeGold IRA Blog401KWhat Are The Rules For Rolling Over A 401(K) To An IRA? Moving your funds from a 401(k) into a physical Gold IRA isn’t necessarily difficult – especially if you’re partnering with an efficient Gold IRA broker, but there are some rules to consider. The classic 401(k) is a still a moderately popular investment option today, but as businesses continue to downsize, employees tend to job hop more often to find the best possible combination of salary and work benefits. This has created a situation in which millions of Americans are now finding themselves unable to reap the benefits of the old school 401(k) – namely, measured growth, easy payroll deductions, a possible investment match, and a long-term plan for retirement stability. Rule #1: Eligible distributions from your account can generally be rolled directly into the new IRA without incurring any tax penalties. The funds in the account will continue to grow in a tax-deferred manner. Rule #2: You’ll need to open an IRA account first, then move the actual money from the 401(k) into the newly opened IRA. That way, it transfers as a rollover and not a redemption. Rule #3: If you’re moving pre-tax 401(k) funds into an IRA, you may have difficulties moving the money back into a future employer-sponsored retirement fund. Your tax advisor can provide more information regarding this specific possibility. Rule #4: There generally are no taxes assessed on the transfer as long as it is transferred to an IRA and not a Roth IRA. The Roth conversion would be subjected to income taxes since the contributions to this account are pre-taxed – allowing for full redemption down the road. Rule #5: You must define a specific distributable event in order for the 401(k) to qualify for the rollover. The most common is separation from the employer, though turning 59 ½ years old is another reason, disability and death are two others. Rule #6: You can continue to contribute to the IRA, even if you do a rollover, up to the defined limit as established by the IRS. For 2016-2017, that limit is $5,500 or $6,500 if you over 50 years of age. Rule #7: A direct rollover means your plan administrator sends your 401(k) funds directly to your new IRA account, while an indirect rollover indicates that the administrator sends the money to you – where you’ll then have up to 60 days to reinvest the funds or you risk incurring a significant penalty and possible tax liability. Rolling your 401(k) into an IRA is a smart move that can provide a greater level of control over your retirement funds. Contact the IRA experts at American Bullion today, and see why converting your old 401(k) to a gold IRA might be the smartest move you’ll make all year.